The new year is here and it’s time for a website checkup. Does your site have an SSL certificate? If not, you’re going to need one. Do you need more website assistance? If so, CrucianPoint has 5 plans to choose from to support anyone from a budding small business to expansive government agencies and corporations. As we focus on our mission of providing the best services possible, take a look at our January updates. Remember, your success is our success! Last summer Google released Google Chrome 68. Chrome will now show your website as insecure if you do not have an SSL certificate. As we reported earlier, Google Search favors websites that use SSL certificates. This is part of Google’s mission over the last 3 years to build a more secure internet. Contact us to add an SSL certificate to your website. We offer 5 different hosting packages. Each plan builds on the previous one and offers different services and service level agreements. Look at your most recent invoice to find the plan that you’re on and review our plans below for additional details on what is included and not included. As always if you would like to discuss your plan or upgrade/downgrade, please contact us at info@crucianpoint.com. Starter: For those who have an informational site with very few updates and do not need phone support. We will keep your core software updated when possible. Content changes and updates will be billed separately. Not available for online stores. Professional: For those who need daily backups, need to ensure that their software is always up to date, and need a response within 1-2 business days. Business: For those customers who are committed to their website and would like a monthly review. Best for those with high volume online stores. Corporate: Includes everything in business plus SEO monitoring, quarterly analytics reports, performance tuning, and a max 4 hour response time. Enterprise: Our enterprise plans come with the fastest response times, no-charge updates to your website, support for the latest browsers, third-party product integration, domain name registration, and a maximum 1 hour response time. We believe that our success depends on our ability to provide customers with quality service that not only meets our stated commitments but also meets and exceeds customer expectations. Our managed web hosting and maintenance service is different and priced a bit more than the standard hosting packages offered by companies like BlueHost, HostGator, DreamHost, and GoDaddy. With standard hosting, you are responsible for software and security updates, backups, account and password issues, and monitoring your website. Our fully managed services take care of almost everything for you. Take a look at the chart below to understand what you should expect at each price point, regardless of the provider. The average cost for standard hosting at a traditional company is about $20/month. This provides hosting space on a server and bandwidth for the traffic that visits your website. There are additional costs for everything else including backup storage, uptime monitoring, search engine optimization, software updates, content updates, feature changes, etc. When you consider that most webmasters charge between $60 and $150 per hour, and a basic website requires at least 1-2 hours worth of checkups and maintenance, expect to pay a minimum of $120 to $300 per month. If you rely on quick turnarounds, resiliency, high availability, reporting, support for the latest browsers, and the best performance, you should expect to pay a minimum of $1500 – $2000 per month. Note that this cost is significantly less expensive than hiring a full-time staff person to manage and maintain a website. For some customers, a basic no-frills plan works well. For others who depend on their site, a mid-tier to upper tier plan provides the services and response time that keeps their business running. If you’d like to discuss your current services, send us an email and we’ll make sure that you have the plan that works best for your budget and business. Remember, regardless of the plan you choose, we are committed to delivering the best service possible. Your success is our success! Long gone are the days where word of mouth and print advertisement create an overwhelming buzz for your business. As we crawl deeper into a technology-based world, getting hip to the times while marketing your goods and services is a must. Search Engine Marketing (SEM) – promotes your website by increasing its visibility in search engine results from the likes of Google, Yahoo, Bing, etc. This is achieved primarily through paid advertising. SEM uses paid advertising with Google’s AdWords and Microsoft’s Bing Ads. SEM also incorporates unpaid advertising like search engine optimization (SEO) and social media marketing. The beauty of SEM is that it offers businesses the opportunity of having their ads seen by buyers during the process of purchase making it a very effective means of marketing a product. Search Engine Optimization (SEO) – affects the visibility of a website or web page on search engines. SEO considers how search engines work, what is being searched for, what searchers enter into the search engine, and which search engines users prefer. Sometimes SEO is a matter of structuring your website in a way that search engines understand. Optimizing a website may include editing content and website coding to increase relevance to specific words. SEO, in a nutshell, propels your website higher up on search engine results are known as “organic” or “earned” unpaid results. 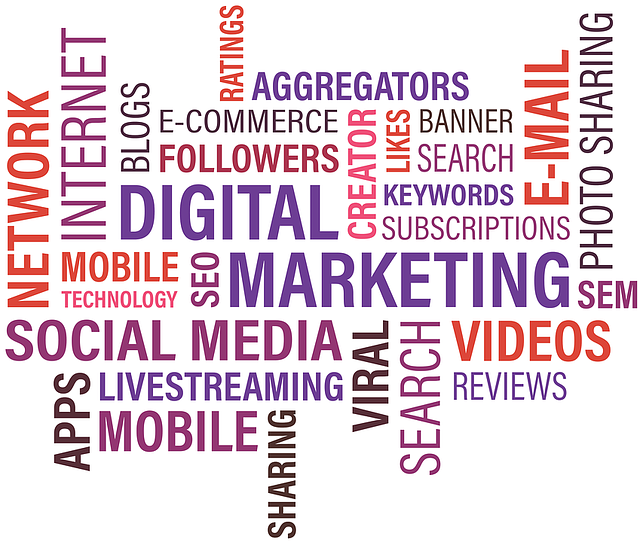 Social Media Marketing – uses social media platforms and websites to promote and market your goods and services. Businesses create and share content to achieve brand goals. This content could be in the form of text and image updates, videos and other innovative ways that promote customer engagement. Social media marketing also employs paid advertising on many sites. Many platforms also include user analytics so businesses can monitor and analyze the activity that is taking place on their pages. Pay Per Click Advertising – SEM is one of the most popular forms of PPC advertising. Businesses and advertisers pay a fee each time their ads are clicked. So, instead of earning organic visits to your website, you can optimize your business’ visibility and pay for the visits that are produced through that visibility. Your ads can appear on search engine results or on websites whose owner you pay for featuring your ad. With search engines, you bid on keyword searches that target your customer demographics. Featuring your ads on other websites requires a fixed price per click rather than a bidding system. You can utilize pay per click on social media sites like Facebook and Twitter. Email Marketing – sends commercial messages to potential and current customers about your business, offers, advertisements, solicit donations, etc. Email marketing is a great way to build brand awareness and loyalty. There are many effective email marketing software packages that help businesses manage their mailing lists. Email marketing is also much more cost-effective than radio, TV, and print advertisement marketing. Email marketing keeps you connected with your customers in a more intimate way. Video Marketing – video marketing is emerging as the go-to content marketing medium these days. Video marketing is simply the marketing and promoting your brand, product, or services using videos. These are 5 ways using video in your online marketing strategy can benefit your business. 1) Video content helps promote brand recall. 2) Video marketing can boost your site’s SEO. 3) Video content performs well on all devices. 4) Video marketing can help strengthen your brand message. 5) Video content wants to and has a great potential of going viral. Online Referral Marketing – the cousin to traditional referral marketing or “word of mouth” marketing, online referral marketing allows businesses to provide referring parties incentives when their friends or family members visit their sites and purchase something. Referral marketing is one of the best forms of marketing when it comes to sales and conversions. Talk about precision targeting. Who knows people better than their family and friends! Inbound Marketing – content is king with inbound marketing. Traditional outbound marketing leaves you disseminating content hoping your target audience is swayed. Paper mail, sales fliers, radio, and more are all outbound marketing. Inbound marketing, however, focuses on creating quality content that draws your target audience in using SEO, social media, videos, E-newsletters, blogs, and other online platforms. People are already online searching for the products and services they want to buy, both your offerings and your competitors. Create content designed to address the problems and needs of your ideal customers. Aligning content with customer interests attracts inbound traffic bringing you closer to gaining new customers and making a profit. Being successful at Internet marketing takes time, creativity, and knowing your niche. For businesses that are already established, don’t think you have to redo your whole marketing strategy. Integrate Internet marketing with your existing business plan. There are many ways to market your business online and you should utilize more than one of the ways mentioned above. Something like SEO can be optimized through technical aspects of your website all while you stay connected to your customers and potential customers with quality content through social media, video marketing, and email marketing. You know your business better than anyone else and you know who your target market is. Choose the best methods for you, dedicate time to creating quality content, and watch your business soar! Are you posting to your social media pages and not getting any traction or not seeing the results you want? Do you spend a lot of money or time on social media yet customers continue adding products to their shopping cart and not checking out? The following 6 tips can help you increase customer engagement, grow your followers, and convert likes into paying customers. Are you planning what and when you post? Do you review the analytics of previous posts and see what worked well and what didn’t? Every business needs a social media strategy. The end goal could be to increase brand awareness. For some, it would be to grow sales. For others, the goal could be to develop long-term relationships. Develop a strategy with your end goal in mind. Understand who you want to target, how much time you want to dedicate, and what products and/or services you want to promote. Remember, for some businesses, 80% of sales come from 20% of customers. Facebook has an excellent analytical tool to help you understand when your followers are online. You can view the number of users online for each hour each day of the week. If most of your users are online at 6 pm on Wednesday, you want to ensure that you have posts scheduled during that time even if you’re not open. Are you trying to reach young millennials? You may do better with Instagram or Snapchat than Facebook. Although Facebook is the largest social network, you may still need to spend some time on other networks like YouTube, Instagram, Snapchat, Pinterest, and Twitter. The highest performing posts contain photos, videos, or animated GIFs. If you’re posting long articles or the text is longer than the height of your image, consider enhancing your post with eye-catching images or video. Are all your posts about your business or products? Are you always trying to sell? You may be turning off customers who avoid the hard sell. Apply Pareto’s 80:20 rule when posting: 20% of the posts should be about you and the remaining 80% should be value-added content like tips, industry news, helpful resources, events, or celebrating the accomplishments of partners, employees, or others in your community. Naturally, you will need to adjust this ratio to fit your strategy from month to month. Finally, social media sites have some of the most advanced advertising tools to help your target the right potential customers. Have you ever looked a product on a website and return to Facebook only to see ads for the exact product you were viewing? Some examples of advanced targeting include people who view your website, people who open your emails, and previous customers. Social media advertising starts a $1 per day and depending on your target audience, you may not need to spend more than $50 for a single campaign. This list is just the tip of the iceberg. There are a lot of great resources available online to help you make the most of your social media. If you need help developing a strategy or need someone to take your social media to the next level, contact us for a free 15-minute consultation. This will help you decide if we are the right fit for each other. We offer a variety of products and services to fit your needs. Our social media marketing packages start at $450/month and full Internet marketing starts at $1,500/month. If you need help keeping your website updated, we also offer website management services. You focus on your business and we focus on your online presence. There are no long-term contracts. You keep working with us until you feel like you don’t need us anymore. Sounds good? Cool, let’s go! Today a website alone just does not cut it. If you are pouring money into enhancing your website with no measurable increase in sales, services, or customer/client satisfaction, you are wasting money. Here are four reasons why your website doesn’t work and what you can do about it. Just 10 years ago having a website was key to growing your business. Today, having a website is like having a listing in the yellow pages. You need an active online presence. Your online presence is a combination of (a) your website, (b) your social media accounts, (c) online advertising, and (d) email marketing. 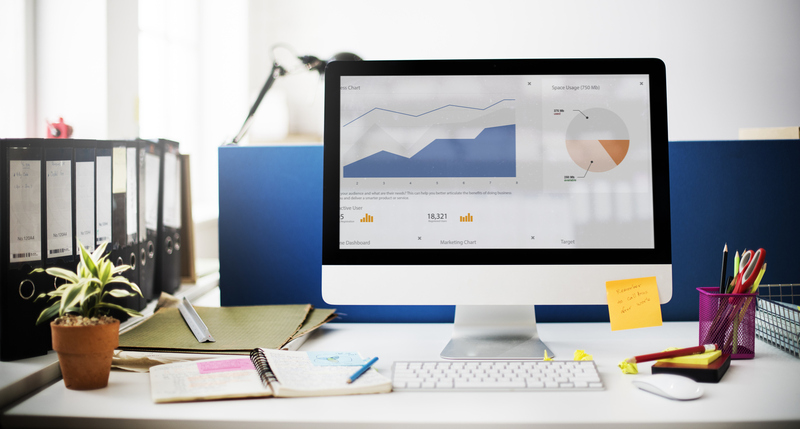 Managing all may seem a bit daunting, but with an effective strategy, you can use your online presence to grow your business and improve customer/client relationships. Are you training your audience to engage with you regularly? At one point social media sites like Facebook, Twitter, and LinkedIn were easy for businesses. All you needed to do was find a few followers, share compelling content, and have your follows reshare the content. Over time social media sites have adjusted their business goals so that paid advertising is now almost required for businesses to reach their followers. Here are 6 quick ways to engage your audience. Know when your customers are most likely online and share content during that time. Create and share videos. This could be as simple as an interview of a client or employee. If you have a retail store, create a video showcasing how your products are created. If you have a services business such as a hotel or consulting, create a video showcasing your property or work you have done. Share content that will resonate with your audience. Every post does not have to be about you or your business. How To articles as well as helpful tips and tricks are always popular. Make sure every post has an associated photo. On Facebook, posts with images or videos see higher engagement. Use hashtags especially on sites like Twitter, Pinterest, and Instagram. Use sites like hashtagify.me and whatthetrend.com to find trending hashtags. Ask. Yes, simply asking your customers to engage with you does work. Ask your customers to follow you on social media and make it easy for them to share content from your website with social share buttons. If you give customers printed receipts, make sure you mention your social media sites. Offer a discount on your customer’s next purchase if they like your page and share a post. While there are no hard rules that govern how often you should redesign your website, we suggest at least once every three years. Trends and technology are constantly changing. If your answer is “No” to any of the following questions, chances are you need a website refresh. Are the features and content on your website inline with your business goals? Is your website design consistent with all your other marketing material? Does your website offer the features and content your customers are seeking? Was your website design updated in the last three years? If you answered “Yes” to all the questions above, congratulations! Here are a few other items to keep in mind. The content on your website should frequently be updated. Make sure your prices, hours, address, phone, and other important information are up to date. Remember your website serves as the face of your business 24/7. While your doors are closed, your website should continue to engage your customers. If you sell online or require users to type in a username and password, you need to ensure you have an SSL certificate. If you have a government or corporate website, make sure your website is ADA compliant. Does your brand stand out in the minds of your customers? Are you using the same name across all mediums? Are you using a professional email address instead of a @gmail.com or @aol.com? Are you sharing good news with your customers, partners, and neighbors? If you have established competitors in your industry, one of the most important things you can do to help grow your business is focus on your brand. You need to help potential customers understand what makes you different from your competitors. Do you have better hours? Longer warranties? Free upgrades? Better service? Faster service? Free consultations? Unique products? Tell the story of what makes you special and why potential customers want to be part of your circle. Are you ready to make your website work for you? Contact us for a free 15-minute consultation. This will help you decide if we are the right fit for each other. We offer a variety of products and services to fit your needs. Our social media marketing packages start at $450/month and full Internet marketing starts at $1,500/month. If you need help keeping your website updated, we also offer website management services. You focus on your business and we focus on your online presence. There are no long-term contracts. You keep working with us until you feel like you don’t need us anymore. Sounds good? Cool, let’s go! Do you understand your Facebook audience? Do you know how to talk with them? Are you trying to figure out the best time to post? 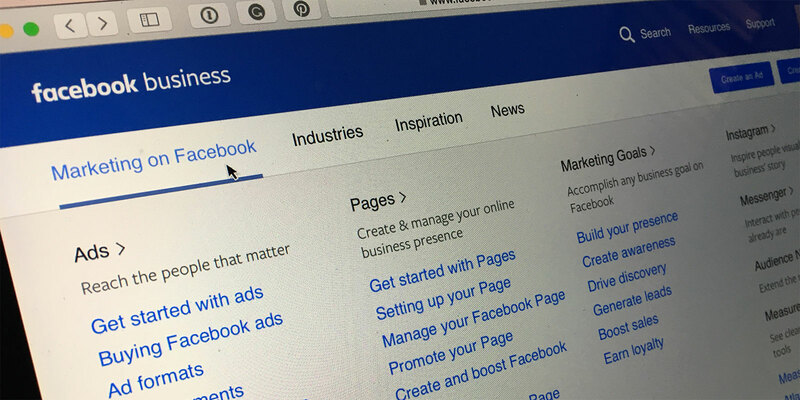 Are Facebook ads worth the investment? We can help you answer these questions and more! Facebook is a great online tool to help grow your business. It is hard to ignore a market of over 1.8 billion people (and growing). However, understanding how to use Facebook is important in order to make the most of your time and maximize your investment in social media. Here are 9 Keys to Truly Excellent Facebook Marketing. If you need help or just don’t have time, contact us! We can help! What does it take to deliver real results with Internet marketing? At a minimum, 20-30 hours a month of research, content development, and graphic design. Content is King! Don’t have 20-30 hours a month? We can help. According to the U.S. Small Business Administration, “small businesses with revenues less than $5 million should allocate 7-8 percent of their revenues to marketing.” This cost should be split between brand development (e.g. website, sales material, etc.) and promotions (campaigns, advertising, events, etc.). A comprehensive marketing strategy includes a mix of mediums to get the word out about your products and services and keep your brand top of mind when customers think about the products or services that you offer. A good campaign requires at least 20-30 hours per month for daily Facebook posts and one simple monthly email newsletter. The average active campaign that includes a comprehensive monthly email newsletter along with multiple daily posts on Facebook, Twitter, Instagram and other social media sites requires at least 20 hours per week and can start at $3,500/month. The increased cost usually comes with a marketing strategy, reporting, sponsored posts and other tools. Don’t have $1,000? Keep reading. Some agencies do not include an Internet marketing strategy as part of their monthly cost. Developing an Internet marketing strategy is important but also time-consuming. You need to head in with a game plan and a list of measurable goals. Without a strategy, you may see a bunch of “likes” on Facebook or a lot of followers on Twitter but no one actually interacting with your content or buying your products or services. The industry average cost to develop a comprehensive strategy for Internet marketing and outsourcing the work can run about $5,000 per month. For most small businesses and campaigns, the strategies are all similar. Blog post help to make you a thought leader and improve your SEO. Twitter is an excellent way to engage industry leaders, bloggers, and the press. Facebook is excellent for interacting with and engaging consumers. Instagram is the go-to place for imagery and short video clips. If you have great pictures of your products and customers engaging with your products, you will want to show them off on Instagram. A good strategy will also include some mix of press releases and ads/sponsored posts on one or more channels such as Facebook, Twitter, Instagram, and YouTube. You’re paying for time and tools. A two line Facebook post could take 5 minutes to an hour to write and post. This estimate is especially true if you’re searching for good content to re-post from industry leaders or complimentary businesses. It is also true if you have to look for or edit a photo to include with your post. If you average 30 minutes per post and 2 posts per day for 5 days a week, you’re looking at approximately 5 hours per week or 20 hours per month just for Facebook. Include time to write, edit, and proof a blog post and email newsletter and you can add at least another 10-15 hours a month. A conservative estimate of $50 per hour and 30 hours per month comes up to $1,500 per month. When you include the cost of tools, strategy, reporting/analytics, ads/sponsored posts, press releases, multiple posts, graphic editing, and multiple channels, the cost goes up. Keep in mind you don’t need to spend big either. A $10,000 or $20,000 monthly budget is not going to help the average small business unless you are doing something amazing that caters to a broad audience. Find an agency with experience and a budget that complements your business. Freelancers are inexpensive but are usually only good in one area and restricted by time. 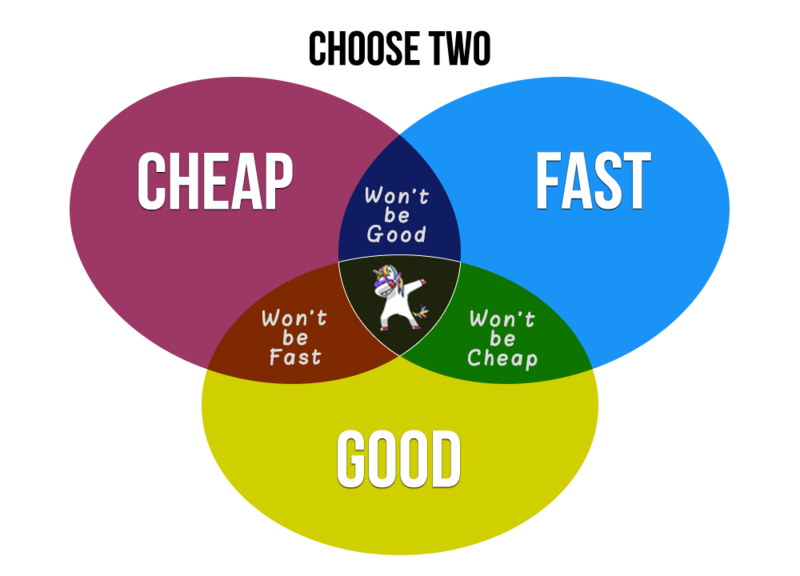 Big agencies usually have multiple levels of management that must be supported and as a result, charge much more. Sure, but remember you get what you pay for – or don’t pay for. If you are strictly interested in keeping your customers updated, you can do this yourself or at a reduced cost. Part of marketing is to keep your brand at the top of mind when your customers think about products or services that you can offer. We encourage business owners to put out a monthly newsletter that can include three easy items: 1) what’s new or changed at your business, 2) what’s new or changed in the industry, and 3) an event that will be happening nearby. We start our SEO and digital marking plans at $1,500/month. This budget provides us with the necessary time and resources to do the job correctly and be confident in the success of your campaign. We can do regular monthly Internet marketing or short-term high traffic campaigns to promote an event. Our goal is to develop long-term relationships and help our customers grow. We generally do not accept clients under $1,500/month because it is difficult to deliver real results. We do not want to undertake projects or accept money from clients if we do not believe we can provide real results and true value. Poor experiences and client turnover result in wasted money on both sides. We also leverage our technical expertise to enhance your website to support a strategic marketing campaign. 1-12 blog post a month: we will generate informative content using keywords relevant to your business and industry. Facebook, Twitter and/or Instagram ads: Facebook allows you to target your ads to the customers you need. Are you ready to start a new campaign (and make more money), give us a call or email us? What Can We Do For Really Small Budgets? Don’t have $1,500 or $4,000 to invest in Internet marketing? Before you answer, consider a quarter page color newspaper ad averages $500 per day. The cost to produce the artwork is another $250 – $500. When you add everything together, the cost of the artwork and 4 days in a newspaper can cost about $2,500 for one month. This price does not include any analytics or reporting and covers just 13% of the month. Newspaper advertising is valuable, but a comprehensive strategy will help you cover all your bases and may include a combination of Internet marketing, newspaper, radio, and TV. If your monthly budget is under $1,500 per month and you’re in the Virgin Islands, we can still help. Give us a call or email us and we can get you running with a starter package. Truth is web hosting is cheap! However managed hosting is not. Simply put, with managed hosting you don’t have to worry about server downtimes and other technical issues. You focus on running your business and your provider focuses on making sure your website is up and secure. Typically the hosting provider is responsible for setting up and maintaining every aspect of the website. This may include configuring hardware, installing and configuring software, technical support, patch management, system maintenance, monitoring, backups, disaster recovery, vulnerability scans, intrusion detection, and updates. Managed web hosting is beneficial for small to medium sized businesses since it is very costly to hire a full-time in-house webmaster to maintain their websites. Most people who select managed web hosting do so to minimize the amount of hands-on work needed to maintain their website either because of limited IT knowledge or limited time. Although managed web hosting plans are more costly than shared web hosting plans, business owners save on resources and time on maintaining their website. On the low end, managed web hosting cost $1,500 to $3,000 annually per website. On the high end, managed web hosting can cost $40,000 to $60,000+ annually. 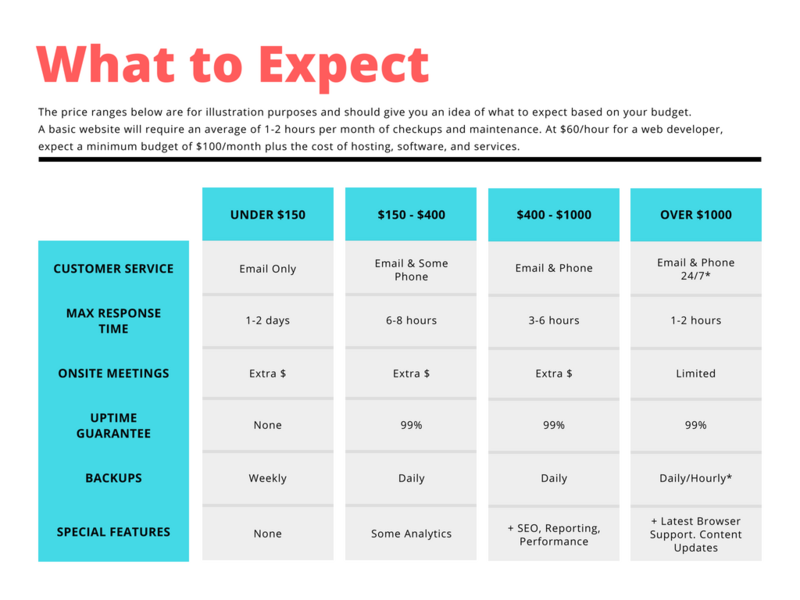 When you consider that most webmasters charge between $60 and $150+ per hour and a basic website requires at least 2 hours of maintenance per month, expect to pay a minimum of $120 to $300 per month. Beware of bargain basement pricing. The savings you claimed on that bargain basement service will be wiped out if your website is down for a significant amount of time or you have to rebuild from scratch. Below is a comparison of the services provided by a traditional web host and CrucianPoint. A traditional web host is a company like GoDaddy, Hostgator, 1and1, BlueHost, and Dreamhost. If you would like more information or have questions, contact us.